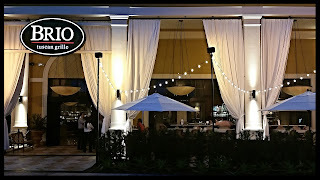 In preparation for Visit Orlando's Magical Dining Month, I got a sneak peak at one of the participating restaurants and got to sample the menu offerings for this annual event. Magical Dining Month, in case you are unfamiliar, is the annual event put on by the folks at Visit Orlando to help promote tourism and create awareness about all the great culinary adventures that Orlando has to offer. It's a real simple concept where participating restaurants feature three-course, prix -fixe dinners at the exceptional value of $33 per person. Its a great way to sample some places that have been off of your radar, or even too expensive. 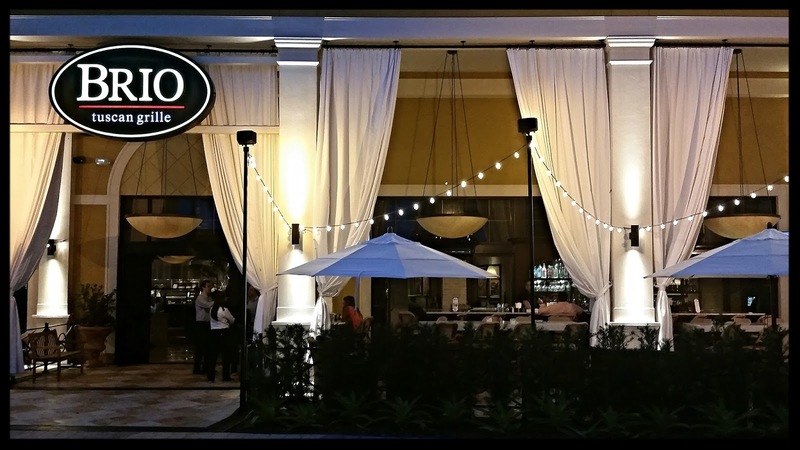 You get an appetizer, entree and a desert at your choice of over 70 restaurants in Central Florida. Since it is a month long event, you can go as often as you like and to how ever many restaurants as you like. The month begins with a preview week on August 25th and ends on September 30th. In addition to all the great eats at a great price, this year one dollar from each meal sold will benefit the Foundation for Foster Children. Now, back to Siro Urban Italian Kitchen. 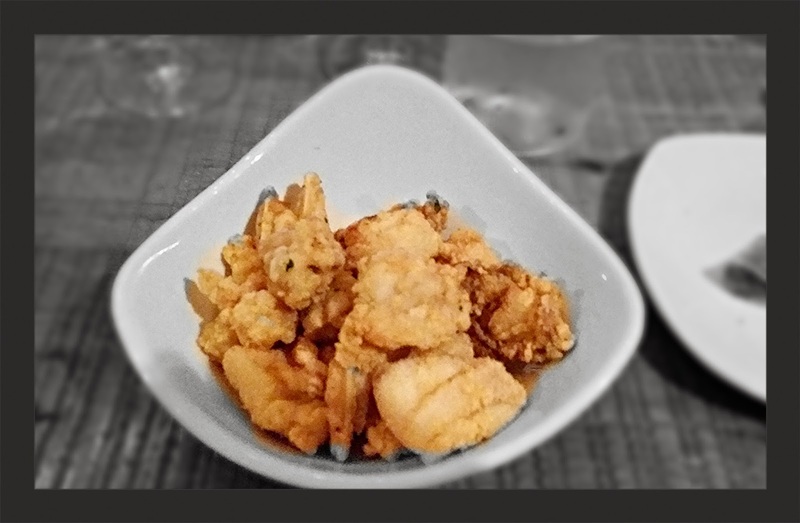 Since opening its doors in 2013, Siro has steadily been gaining recognition in the culinary community for its trendy, yet affordable Italian Cuisine. A big part of the success they are having is due in large part to Executive Chef, Alexia "Lexi" Gawlak. 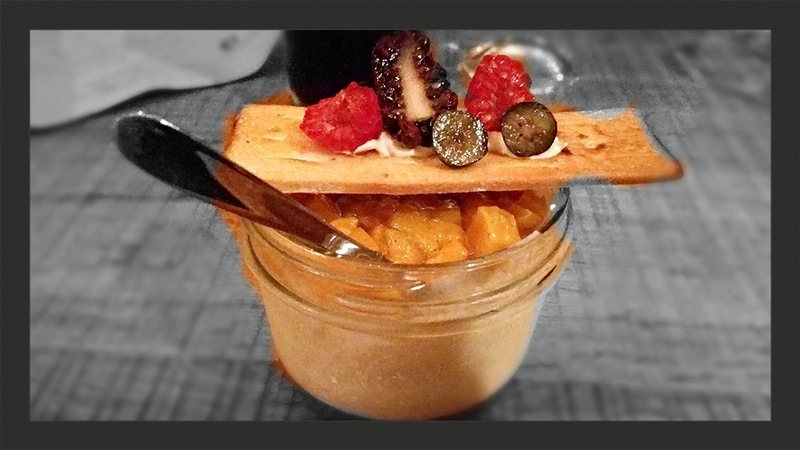 Chef Lexi, if you are unfamiliar with the name, has made stops along the way at some of Orlando's top dining establishments including Luma On Park, Primo, and The Ravenous Pig to name a few. The menu at Siro features dishes that are inspired by local fare, as well as plates that boast vibrant flavors and utilize local in season ingredients that help to maintain Siro’s philosophy of "From Farm to Fork." The main entree courses are simple yet innovative and include everything from thin-crust pizzas and house-made pastas to various meats and fish selections. Siro also has a nice selection of family style dishes available that are served family style on over sized wooden planks. In addition to signature dishes, Siro also boasts an extensive drink menu, with bartenders that have mastered the “Garden to Glass” method of mixology. They specialize in preparing hand crafted Italian classics from the Negroni and Aperol Spritz to the "The Artisan," Lemoncello Martini complete with fresh squeezed juices and fragrant herbs. 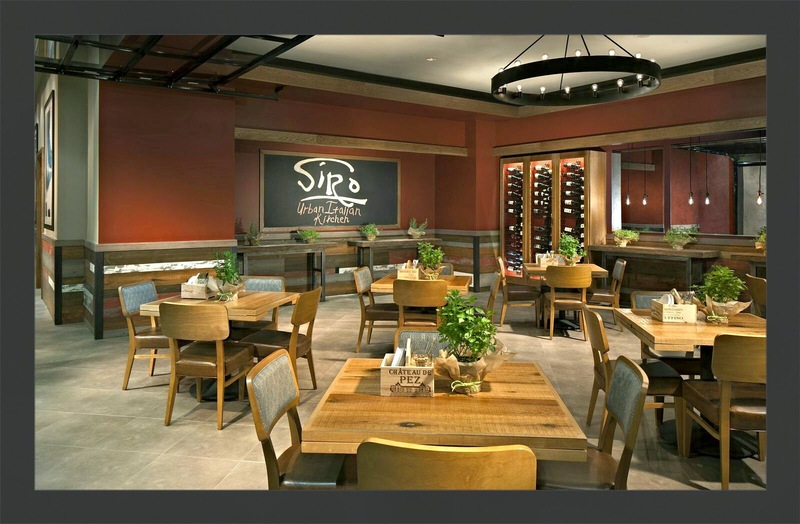 Of course no Italian restaurant is complete without a fine wine selection and Siro has a nice collection of true Italian tradition, selected wines that are served by the glass and quartino carafes -- as well as local craft beer selections. For my appetizer, I chose the Marinated Tomato Salad with fresh tomatoes, Burrata and sea salt. Burrata is a fresh Italian cheese made from mozzarella and cream. 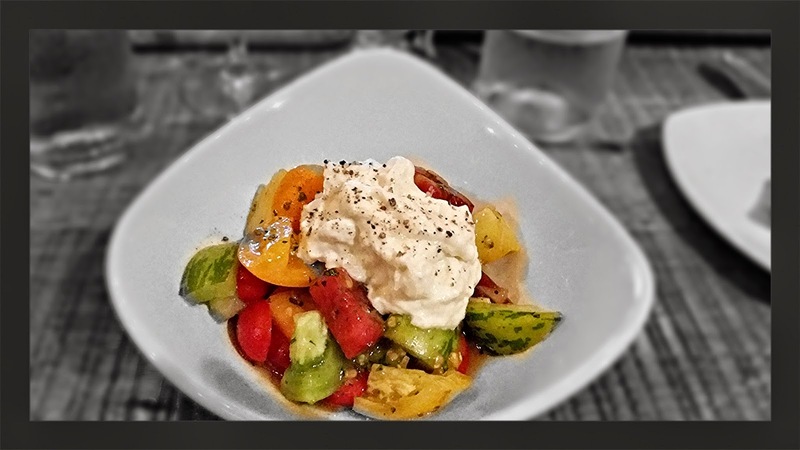 I enjoyed the creaminess of the Burrata with the acidity of the fresh tomatoes. The next appetizer I sampled was the Frito Misto with fried Key West pink shrimp, oysters, grouper, and lemon-caper aioli. All Fried and all good. 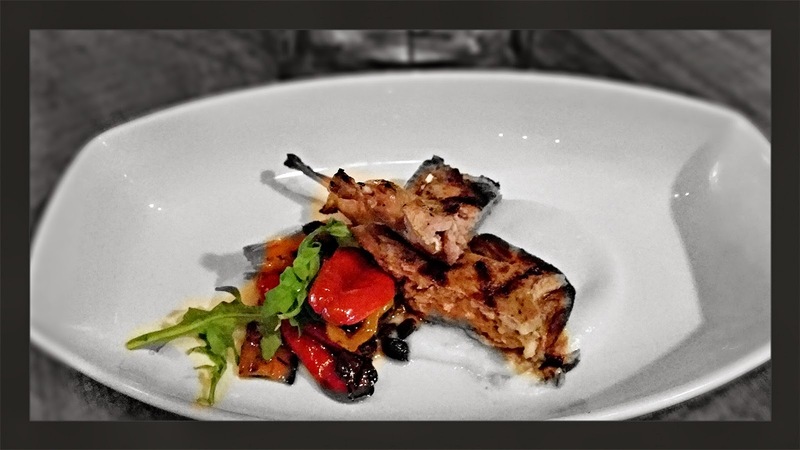 My favorite appetizer was the Grilled Quail with fennel sausage, pepperonata, and a vidalia onion puree. This was a very delicious quail, seasoned to perfection. ragout of summer squashes topped with crispy crumbs. 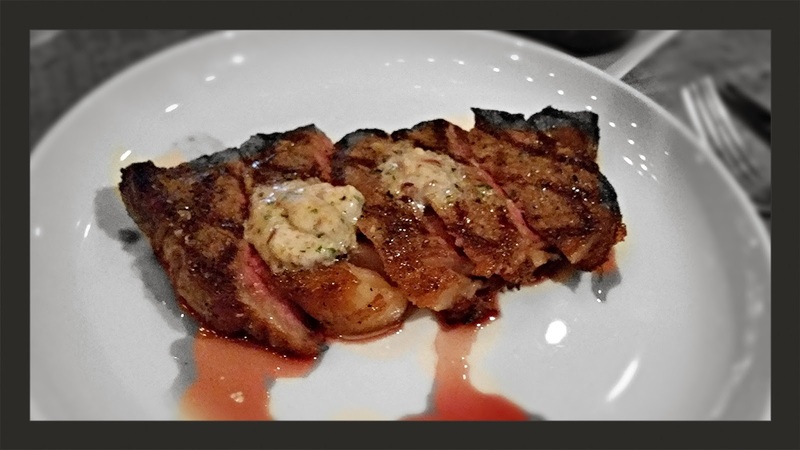 The steak was cooked to a perfect medium, was tender and loaded with flavor. 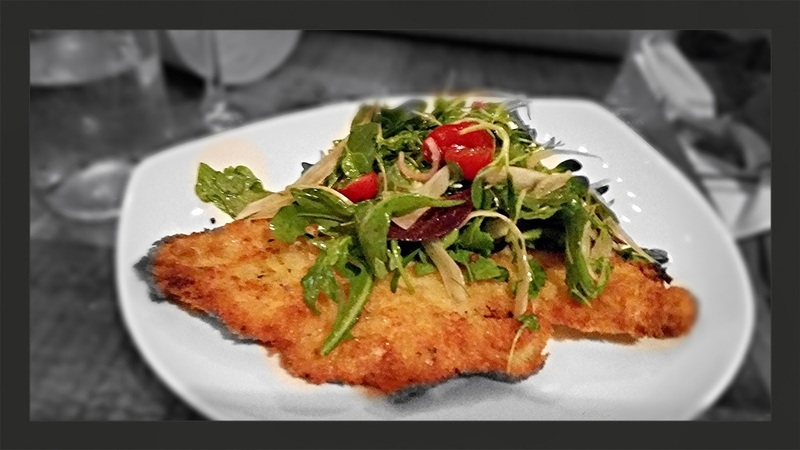 Another great entree was the Chicken Milanese with summer salad. The delicately battered and fried chicken pieces just melted in your mouth. 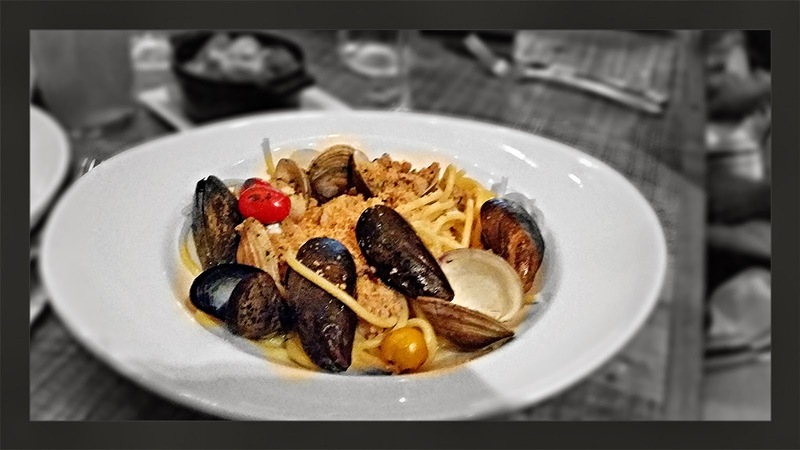 mussels, clams, shrimp, fennel sausage, and tomato-saffron brodo. Very tasty as well. For desert I opted for the Tiramisu. 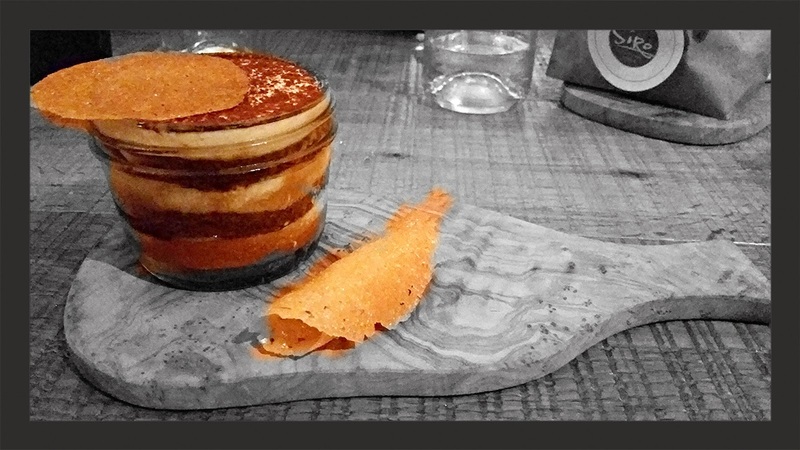 Although served in a non traditional fashion, the flavor of this tiramisu was about as authentic as I have had. All of the deserts offered were good, but when the Zeppoles arrived..it was chaos. 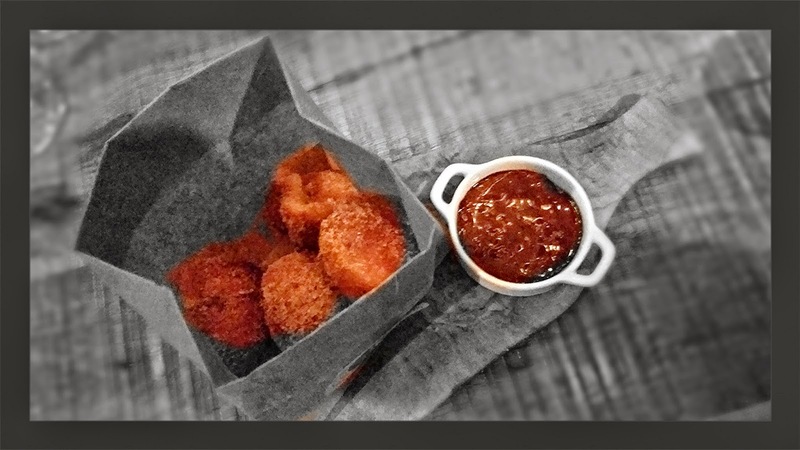 A bag of deep fried balls of dough coated in sugar and cinnamon and a side of chocolate dipping sauce...Oh my..these were good! For something more refreshing and a bit lighter, go with the Panna Cotta, a mixture of cooked cream, berries and chocolate. Central Florida, within the Golden Spoon Awards for 2013. For just $219 per night plus tax, you and a guest will enjoy one night in a King or Double Room and dinner for two at Siro. Most of the restaurants that are in hotels that are participating in Magical Dining Month, also offer hotel packages as well. Now get out there and have some great food and help support a worthy cause.